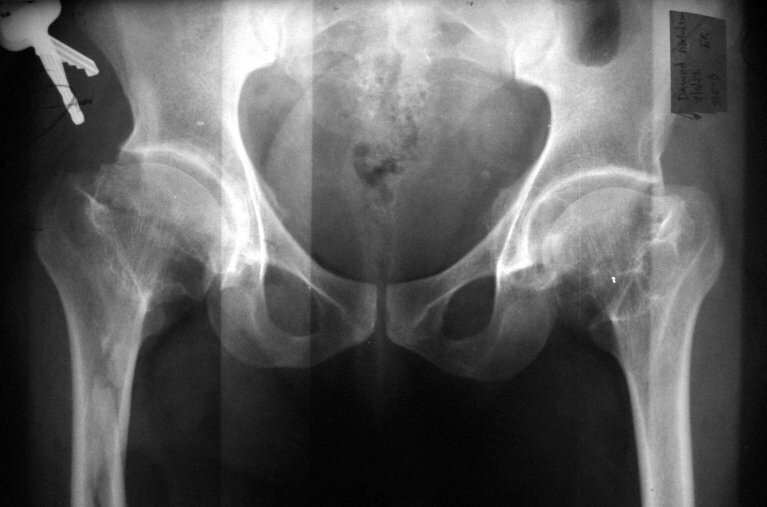 X- ray showed comminuted fr. 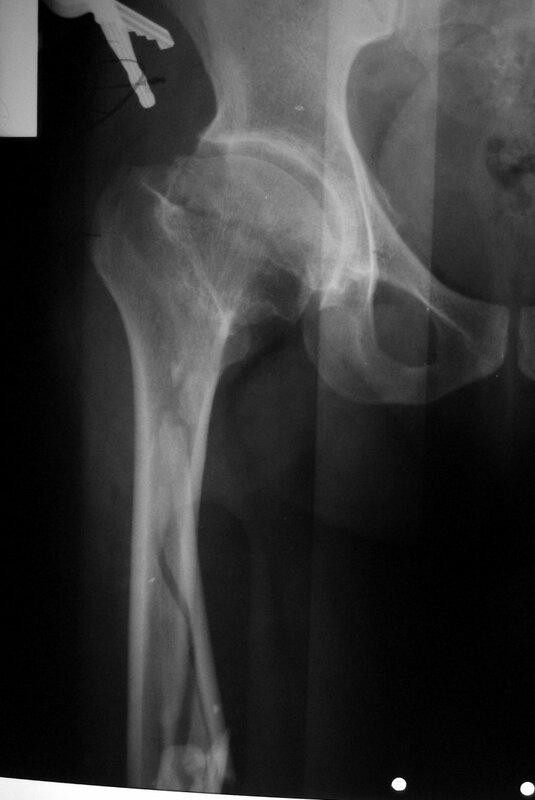 upper half of the right femur . The patient was admitted to OR the same day of admission but unfortunately due to stiff neck the anaesthesia was aborted because of failed intubation . After 48 hours the patient was readimitted to OR and DHS applied to him .